How can I view Concepts Premium reports? See which concepts your students have mastered and where they need extra support. 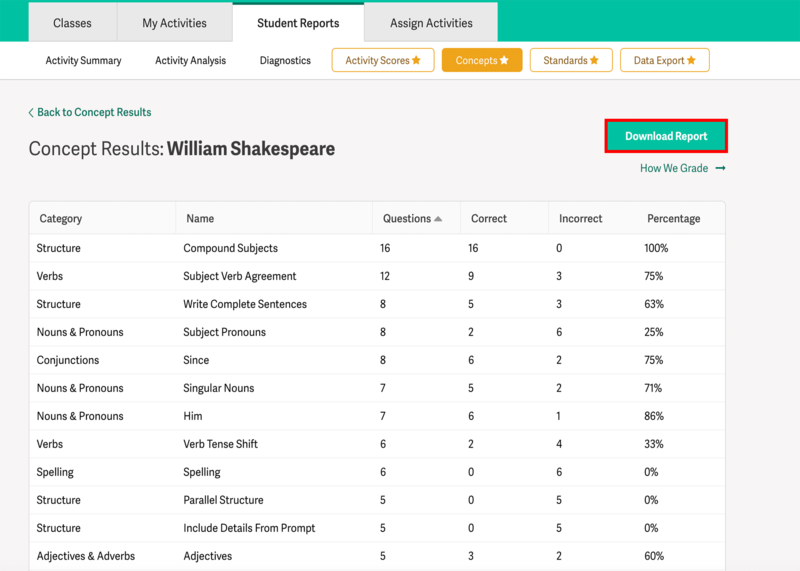 The Concepts Overview shows how each student has performed overall. 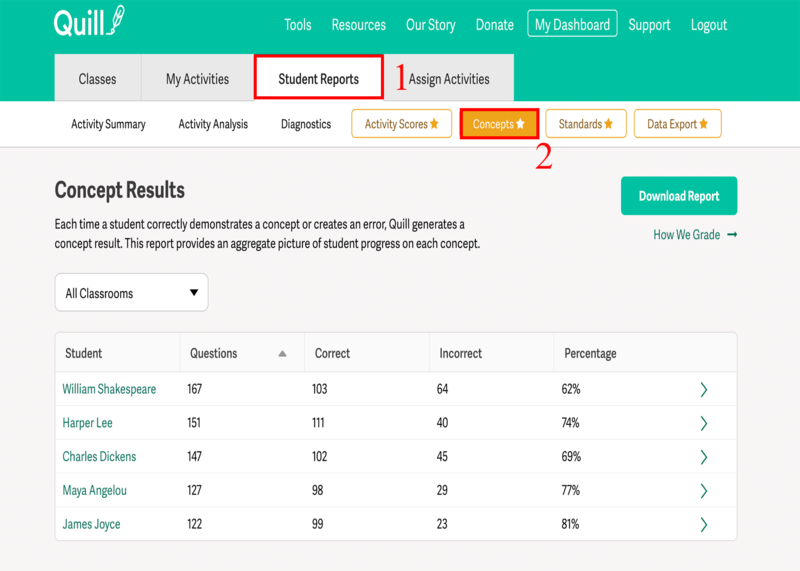 The number of incorrect answers reflects the total number of incorrect attempts, and it does not change after students have successfully repeated the activities. To grade most accurately, divide the number of correct answers over the number of activities students are expected to complete. 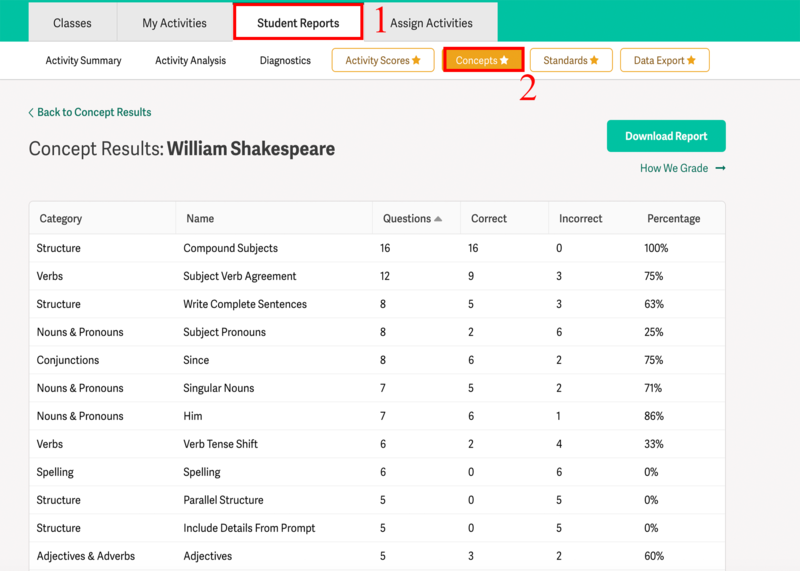 To see how individual students are performing on specific concepts, simply click their name in the report. Both reports can be printed by selecting "Download Report" in the top right corner. The reports can be downloaded as either a CSV File or a printable page.